CSI is an HVAC, water treatment and specialty cleaning company that performs a broad range of services. CSI provides a complete range of HVAC water treatment services, including full service and advisory water treatment service. Water used as a heat exchange medium in modern commercial air conditioning and heating systems requires chemical treatment to minimize corrosion, scaling, and microbiological fouling. CSI provides a complete range of HVAC water treatment services, including full service and advisory water treatment service. CSI provides monthly treatment , chemicals, chemical feed equipment, and services to commercial and residential buildings, shopping centers, hospitals, schools and museums and more. We supply test kits, reagents, equipment and engineering consultation for all types of systems where water is used for heat exchange and we prepare or review specifications for some of the largest consulting engineering firms in the tri-state area. CSI has been providing water treatment for some of NYC most prestiges addresses and also the tri-state area. CSI is now proud to offer a cleaner and safer way to service your water treatment needs by the use of solid feed chemicals for cooling towers & boilers. The use of solid feed helps to keep your environment safe and clean by avoiding liquid chemical spillage , bulky space requirements accurate release and the avoidance of handling chemicals. Consult with our engineering department for questions and options to better serve your building needs. 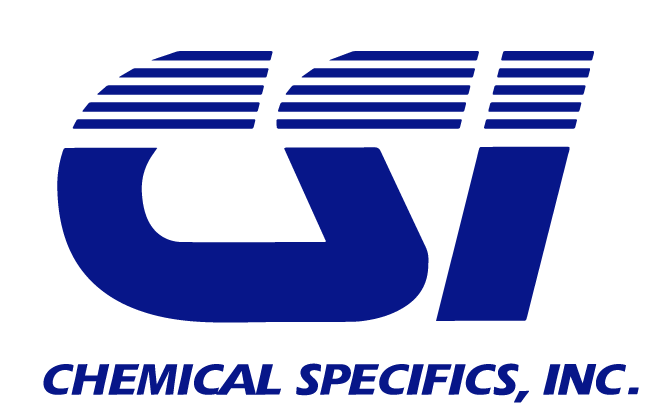 CSI provides a complete range of chemicals, chemical feed equipment, and services for the treatment and cleaning of low pressure and high pressure steam boilers for residential, commercial buildings, hospitals, museums and schools. CSI is also certified for work by the (NYC School Construction Administration). Contract services can be provided for seasonal and all year . CSI Provides treatment to Waste & Grease pits. Pits are treated with LOE Liquid Odor End . LOE contains powerful yet friendly & non toxic digestive enzymes that decompose and digest organic matter. Our treatment also provides a pleasant odor to help eliminate foul smelling pits. CSI provides specialty cleaning services for a wide variety of building environmental systems. CSI is a leader in the tri-state area for cleaning cooling tower systems. Cooling tower cleaning and sanitizing is a critical and important part of operating system .A dirty and unmaintained cooling tower can cause fowling, legionella, high energy costs , downtime and system damage, our trained professionals are available around the clock to service you either on emergency or pre appointment cleaning. 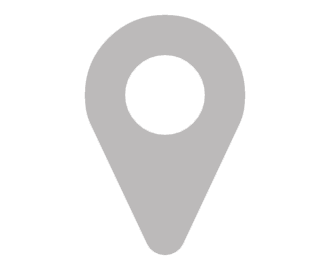 CSI recommends a proper maintenance routine of at least two cleanings a year depending if your tower is run seasonal or all year. Bottom line the use of CSI technicians for cleaning and sanitizing you Tower is a wise choice, with over 30 years of experience NYC top HVAC contrators and property management companies only trust CSI. CSI provides a broad range of specialty cleaning and sanitization services for cooling towers, Heating and cooling systems including heating and cooling coils, condensers, HVAC duct work, boiler, plate heat exchangers, and new instal piping systems. Our technicians make it a point to have your equipment thoroughly cleaned for proper function and maintenance. Upon request we can also use our green clean products for sensitive areas that require a chemical free cleaning. CSI provides cleaning and services for new system installed piping. During the process of new installation pipes may contain weld slag, oil , grease or other foreign objects. 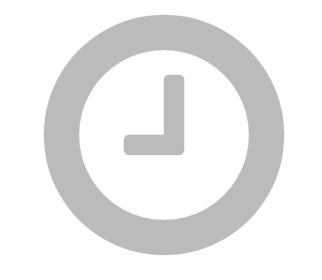 Our cleaning consists of a chemical cleaning circulation and flushing to ensures the removal of any impurities before your system goes live . CSI provides cleaning and sanitizing of HVAC ducts & air handling surfaces, Dryer exhausts and Grease exhausts. CSI is a member of the National Air Duct Cleaners Association. Ducts and Air Handling devices are cleaned according to NADCA standards by NADCA certified duct cleaning specialists. Domestic Roof Water Tank cleaning is essential to keep potable water safe and clean . NYC requires all domestic water tanks to be cleaned and sanitized , CSI provides inspection, cleaning and sanitizing of roof water tanks and can also provide water analysis . At CSI you can rest assured your deistic water tank will be cleaned and sanitized , we can set up a routine cleaning maintenance for your building to help in keeping your tower in check with NYC health codes. Contact us at CSI for suggestions and a free estimate. CSI provides cleaning for raised floor computer room plenums that double as wiring and data line conduits using High Efficiency Particle vacuums (HEPA) and related equipment and containment techniques to effectively protect equipment and personnel. CSI provides special services for a wide variety of cooling towers and HVAC systems. CSI can help you extend the working life and restore efficient operation of cooling towers. We have developed techniques to rehabilitate cooling towers from 5 to 5,000 tons including repair of leaks, application of protective coatings, installation of new fill materials and drift eliminators, and design, fabrication and installation of complete new spray systems. CSI also offers removal & Disposal for non use abandoned or condemned cooling towers. Glycol based antifreeze solutions are widely used in HVAC systems for protecting vulnerable components like coils, dry coolers, and refrigeration equipment from damage caused by freezing water. Glycol /water solutions are corrosive to metal piping and can become progressively more aggressive as they get older. To protect the system from corrosion additives for corrosion inhibition are added. CSI provides services for analysis and adjustment of chemical inhibitors as well as new inhibited glycol solutions and disposal of waste glycols. CSI is equipped to perform both destructive and non-destructive testing of piping and fittings. Non-destructive testing in the form of ultrasonic thickness testing can be used to estimate the current condition of HVAC water system piping. We have often employed ultrasonic testing to get a reasonable preliminary evaluation of the general condition of the pipe and to determine if more intrusive or expensive testing is warranted. Our laboratory can also analyze samples of piping removed from systems to evaluate the cause and extent of corrosion and the nature of deposits fouling piping. CSI provides laboratory services for drinking water, process water and water used as heat transfer media. CSI provides laboratory services for drinking water, process water and water used as heat transfer media. Our laboratories also provide testing of piping, deposits, failure analysis, corrosion monitoring, mold and indoor air quality and may other materials and environments. CSI is licensed by the NYC DOHMH to perform cleaning and sanitizing services for domestic water tanks, coils and piping. CSI can analyze and often identify the source of seepages and water intrusion problems. Indoor air quality is becoming increasing recognized as a significant issue in the comfort and productivity of workers in commercial office buildings, students in learning centers and even in private homes. Facilities managers are often confronted with complaints and questions associated with these issues. CSI can provide initial indoor air quality evaluations and subsequent services as needed. analytical services. Some of these include water & deposit analysis, fuel oil & lubricating oil, piping & metallographic analysis, and glycol analysis. 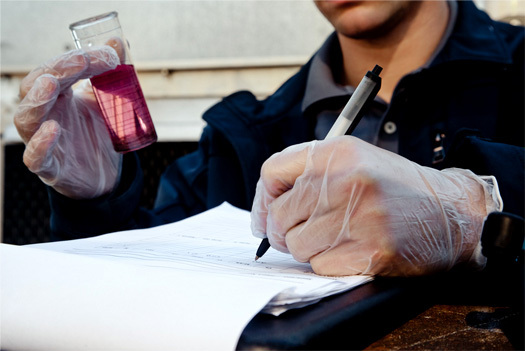 CSI provides analysis of drinking water, water intrusion and seepage samples. CSI has provided consulting services and specification preparation for many mechanical and chemical consulting firms for water treatment and for specialty cleaning of building environmental systems. Our consultation and advisory service can help you in making the correct decision about your water treatment needs. Please contact us to speak with one of our engineers, we can come out to your location and give you a free consultation on what works best for your location. CSI treatment and cleaning services contribute to energy and cost savings and CSI offers many chemical alternatives that provide environmental, comfort, and safety advantages. Upon request we use environmentally safe chemicals for cleanings. For water treatment we can offer safe solid feed, safe solid feed eliminates the use of wet chemicals thus preventing spillage and an un safe environment for your location. Contact us to speak with one of our field engineers to see what solution fits your needs. HVAC equipment and air conveyance systems can become contaminated with mold or other microbiological growth. At times this contamination may be associated with unusual events such as flooding, pipe failures, condensation, or other unintended sources of moisture or high humidity. Mold can also find hospitable conditions in areas of the HVAC system where water is accumulated, condensate takes place intentionally, and high humidity is a normal condition. The design or operation of the equipment can contribute to such conditions. Chemical Specifics personnel are trained and supervised by NADCA certified ASCSs (Air Systems Cleaning Specialists) trained in safely assessing and remediating mold in HVAC systems. CSI technicians will inspect and identify mold if present in your HVAC systems and provide a plan for abating the contamination safely and effectively. Where appropriate CSI can apply EPA sanitizers specifically intended for air handling surfaces. This work is done using carefully structured techniques to contain the offending materials, perform the work safely for our workers and your occupants and dispose of waste appropriately and work with your mechanical contractor to prevent recontamination. Techniques, tools and methods used are consistent with the NADCA Standard ACR for the remediation of mold and other biological contamination, The ACGIH standards for Assessment and Control of Bio aerosols, and the NYC Department of Health Guidelines for the Assessment and Remediation of Mold. CSI can provide you with periodic Legionella testing for your cooling towers. Due to the recent outbreak of Legionella in NYC it is highly recommended that you keep a consistent testing program in place. CSI can set up a quarterly or semiannual testing program depending on your cooling towers use. It is suggested you keep all test results and records on file for future NYC cooling tower inspections.